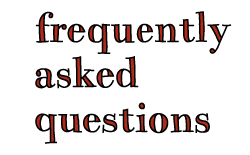 After much hemming and hawing, not to mention deleting and rewriting, I have posted two new pages up there under my header -- a long overdue About page and an FAQ page. Many of the articles I've read on improving one's online presence insist that an About page is a crucial component of one's website. Strangely, I almost never read other bloggers' About pages. I generally prefer to get to know them through their posts. That said, an About page obviously makes really good sense. How else will anyone know what you're all about, why you blog, what motivates you? The one small challenge I encountered while working on the page was that I seriously struggle with articulating the answers to all three of those questions. I really enjoy dropping by here to tell you about things on a week-to-week, case-by-case sort of basis, but summing it all up is something I find exceedingly difficult. The reasons for writing and creating here keep changing and evolving for me. I can't seem to pin myself down. Also, the About page is yet another foray into proper blogging and each step I take into that arena forces me to confront the fact that I am, for very long stretches at a time, not a good blogger at all. I am easily overwhelmed by family and other commitments, a personal failing which is not offered as an excuse, but hopefully as an explanation for periods of unresponsiveness. There have, in the past, been a handful of emails that have gone unanswered, which is truly unforgivable. Please know that I am striving to improve in that regard. Also, I would like to be the kind of blogger who responds to every comment on every post, because I so appreciate that when I see it on other blogs. Again, I am sorely deficient in this regard. I can only offer that I am working on it and that I recognize the time and energy it takes to write to me or comment on my posts and I am grateful for both. On a lighter note, it occurs to me that I have become far more understanding when my own emails go unanswered. I imagine a busy life and terribly short days and precious moments experienced offline that cannot be interrupted or diverted. The FAQ page was marginally less daunting. I feel I was able to answer a number of the questions I receive on a regular basis, such as which program I use to create my pages, what to do if you have difficulty downloading the pages, and whether there is one place to download the pages all at once. I also skirted a few questions that I know I should answer, but don't quite have the words for yet, including a few slightly nuanced copyright issues I've encountered. I have to deal with them, but I need to find just the right way of communicating my answers. 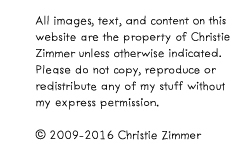 At some point, I'd also like to take on the question of why I'm posting my journal pages as free (but still copyright-protected and for personal use only) downloads. As it stands now, my answer doesn't even begin to address issues of business model or future use or why, in the heck, would you do that? But as naive and amateurish as it may sound, "Because it feels right," is my best interim answer. I love posting my pages in the manner in which I've been posting them. Love it. Doodling the boxes and borders, mulling over the prompts, posting the pdfs, reading your feedback, knowing that these pages are enjoyed and awaited and, for some, have made a small difference -- all of those things have me transfixed in the now, without a clear vision of the future. I should think about remuneration, I know I should and I will; in fact I have been. 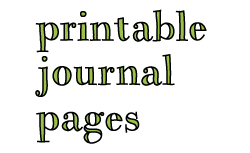 And things around here will begin to change in the near future, but the free (but still copyright-protected and for personal use only), downloadable journal pages will persist. Well into the foreseeable future and beyond. Speaking of journal pages, I've been working on number 47, which should be ready early next week. You are just amazing. I am so impressed with your ideas and creativity! Thank you for all your journal pages (I fill them out during staff meetings). Thank you - again - for the journal pages and your honesty in sharing your life with us! I don't think it sounds at all 'naive and amateurish'! This is not corporate business world. This is you sharing something you created. and creativity cannot be forced... which means that if we want the creativity to keep flowing, we are wise to listen to how our intuition tells us to do it! And if yours is saying, loud and clear, that it 'feels right' to do it this way, at this time, I think it's wonderful that you are listening to it! Honouring and respecting it. There is little in life as valuable as that which brings us feelings of love or joy (in my opinion). I hope that if you decide to have a purchasable product some day, it will be entirely because that, too, 'felt right' and not because other people pressured you or made you feel you 'should' charge money. Our society is very money focused and it tends to lead to a feeling of 'not enough' I find.